The SAP HR blogosphere is rich with content focused on thought leadership, technology trends and case studies which describe both successful and failed projects. While any of my clients will attest to the fact that I am unafraid to share my opinions, I do not intend to add more content to the internet which might be considered esoteric, out of context, or heaven forbid a drag simply because a potential reader had to wade through it to get to something more worthy of their time. Back in my days as a business analyst, I loved doing research to keep current with the industry trends – it made me feel intelligent when talking to consultants. Every now and then, however, I would come across a gem of information which taught me job specific, time-saving and immediately valuable information which helped me work smarter. 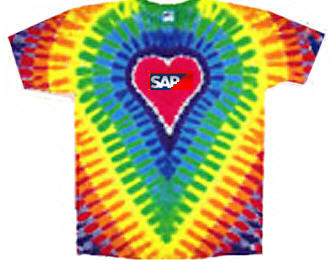 It is my intent to periodically add nuggets of useful information, which a reader with access to a SAP HR system might feel compelled to log in and immediately begin using. Remember way back when somebody first taught you how to search for a person in SAP by using =n.lasname? Gem! How about =n.lastname.firstname? Another gem! Oversimplified examples for sure, but there’s so much other stuff out there to share! For the record, that client was in San Francisco…. At AspireHR, we often jest about the ‘Hero Mentality’ fostered by the larger consultancies we spent time with in our early careers. Hero Mentality is the tendency of those in knowledge based environments to hoard information, so they may guarantee themselves to be the one called upon to save the day what a particular issue arises. Typically, it’s just a little nuance that one learns from doing some targeted research or testing, then guards the information as if it’s a trade secret. I must admit that I am guilty of my own Hero Mentality. However in my version, I feel like a small-scale hero when I share little tidbits of information which makes SAP a little more usable for people. These are the simple tips I share for the selfish pleasure of enriching others, and I thank you for allowing me to indulge! So goes my first blog post…and unless you were unaware that you could search for a person in PA20 by typing =n.firstname.lastname in the Personnel Number field, I haven’t shared any useful information yet. For the longest time, we used to go through this contrived process involving SE16N to find out which employee is associated with a particular SAP username. Did you know that you can find a person by typing all or a portion of the username into the ‘Personnel Number’ field in PA20. Simply type in =U..username (Note that there are 2 dots!) and voila! Thanks for reading! I promise less drivel, more content in my next post!